Did you enjoy your day? Do anything fun? We didn't...The bug had seem to made it's way back again, only it's attacking baby Tommy. So we stayed indoors this weekend and caught up on some movies we've been wanting to see. It's Tuesday, that means a new challenge for you over at SweetStamps! This weeks, it's everyones favorite.. I am really awaiting the arrival of Spring and Summer. I'm ready to start seeing my flowers bloom and get the vegetable garden going again!! So with flowers on the mind, I turned through the pages of my SweetStamps flower collection. Today, I am using Spring Blooms ATC, which I have colored with color pencils. I brightened up the picture and took a close up of the image!! I hope you will join us this week. Can't wait to see what you come up with. This is just soooo pretty!!! I love the little bow <3 Thanks so much for sharing with us at Sunday Stamps. We sure hope to see you again soon!!! Beautiful! Love the colored pencil on the kraft paper! Wonderful card- love the mirror of color in the DP- and the coloring on Kraft- outstanding!!! 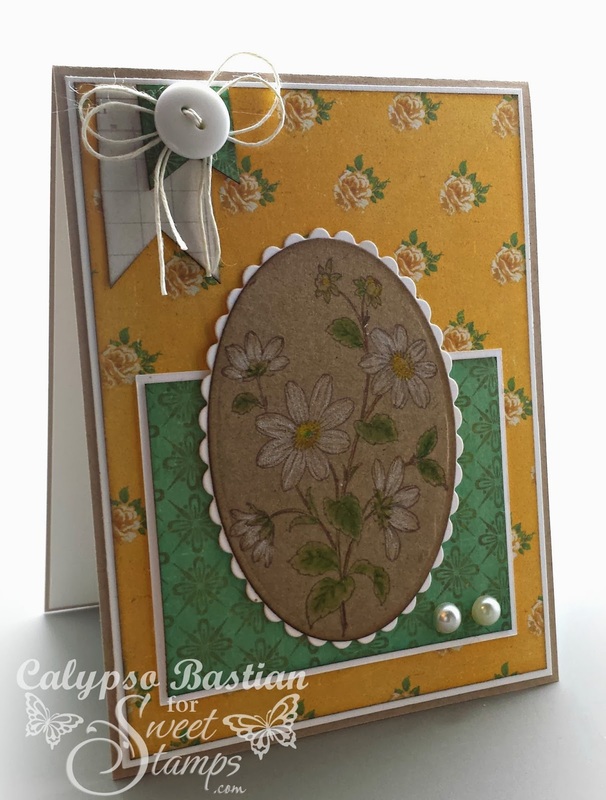 Beautiful card - I love the flowers and the Kraft coloring. Great job! Thanks for playing at Crafting From The Heart, I hope you will join us again soon. This is a beautiful card. I love the frame and that stamp set. Sorry you've had the bug at your house again! Sending you all "stay well" wishes! Your card is beautiful, though…love the kraft with the colored pencils! Very nice card, love this layout! Very pretty! 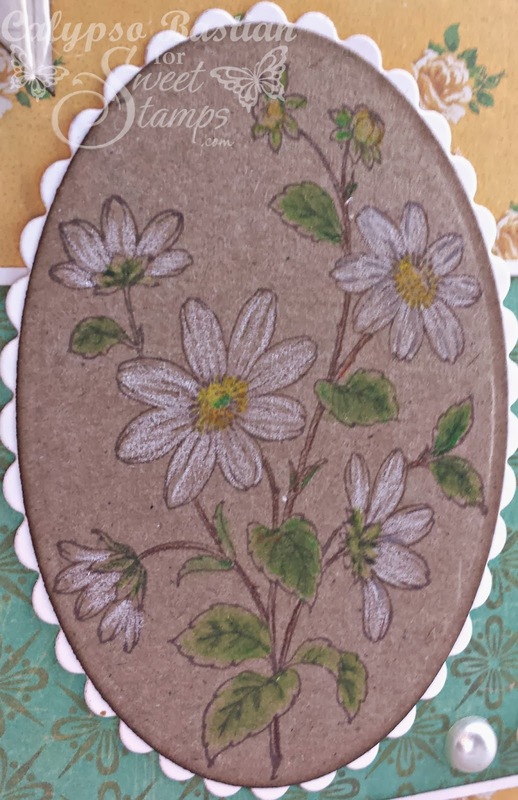 Really like how you stamped the flowers on the craft paper and like the sketch! Thanks for playing along with us at Sunday Stamps, hope you will join us again. 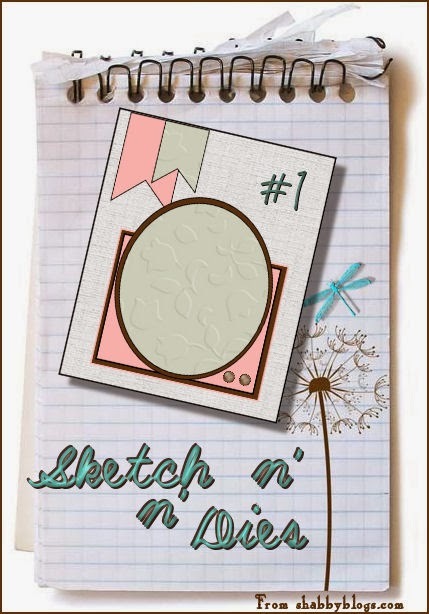 Thank You for joining us at Sketch N' Dies! Beautiful design, love the colors you chose and how you colored the image. Wonderful embellishments too!! Love how you colored on kraft paper--it created such a pretty effect! Thanks for joining us at Sunday Stamps this week--please join us again soon! What a wonderful vintage looking card. It makes me think of my Great Aunt's farm house for some reason; bright and gentle and welcoming. Thanks for playing along with us at Sunday Stamps. This is so pretty and really definitely has me thinking spring too! Thanks so much for sharing with us at Sunday Stamps!